BREMEN, Germany (AP) Bundesliga club Werder Bremen fired coach Alexander Nouri on Monday after the team failed to win any of its first 10 league games this season. Bremen parted with Nouri and assistant Markus Feldhoff a day after Bremen lost 3-0 at home against Augsburg. Under-23 coach Florian Kohfeldt will take charge of the team ahead of Friday’s league match against Eintracht Frankfurt, the club said. 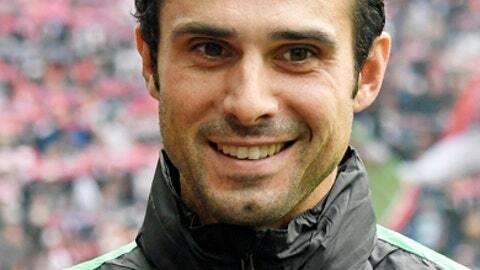 Nouri guided Bremen to an eighth-place finish last season after taking over in September 2016 with the team at the bottom of the Bundesliga. Bremen is currently 17th in the 18-team league. The team has only five points from 10 games and has scored only three goals.